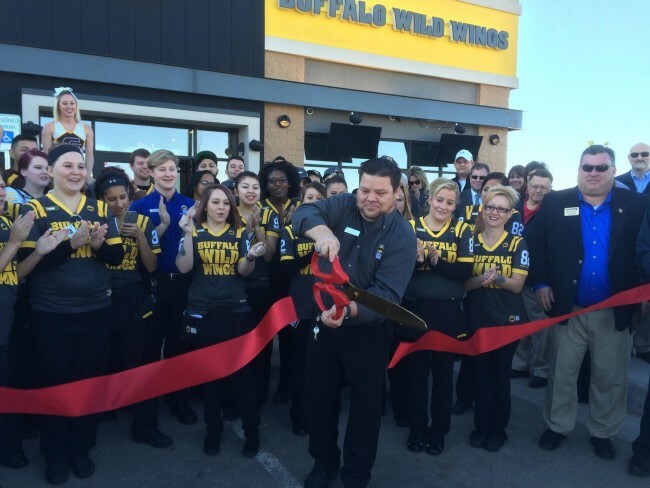 November 9, 2015 - Buffalo Wild Wings opened the doors to their new location at 1530 Lareu Rd, Ste. 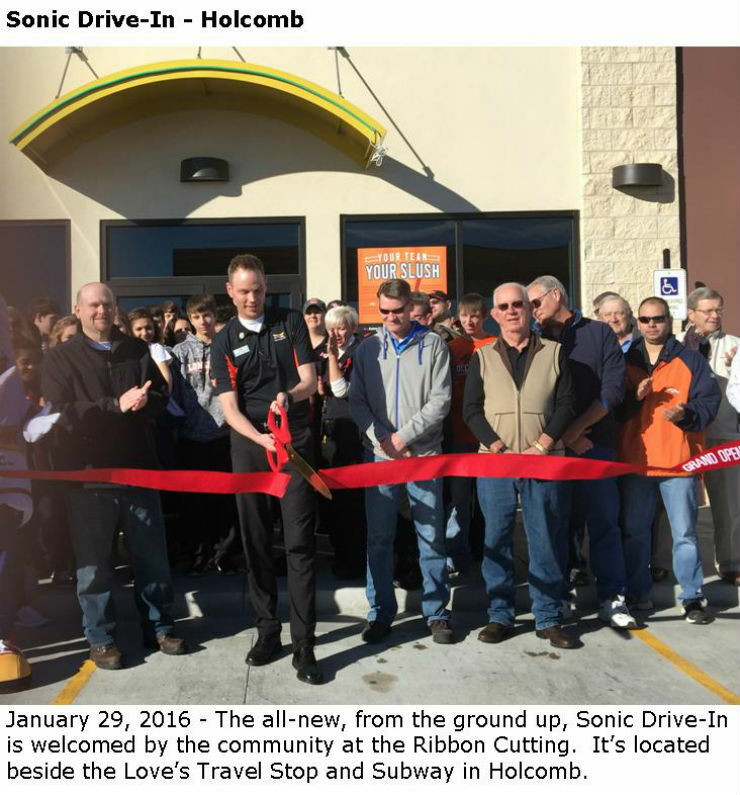 100 in Garden City with a ribbon cutting and free wings for a year to the first 100 individuals in line. 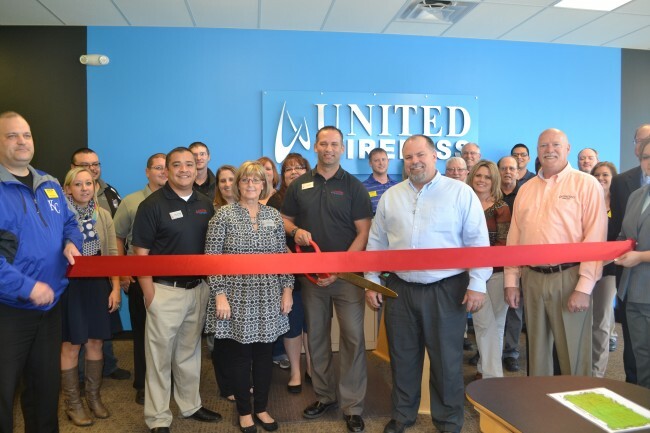 November 3, 2015 - United Wireless celebrated the opening of their new location at 1530 Lareu Rd., Suite A in Garden City. United Wireless is a locally owned and operated cellular company who offers unlimited nationwide 4G LTE service. 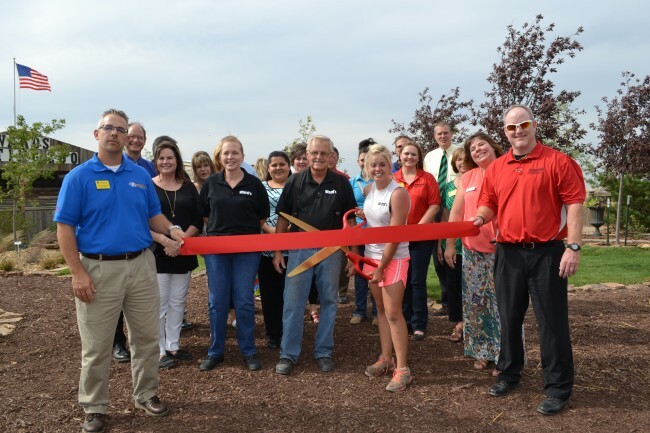 October 16, 2015 - Grand Opening for Alliance Irrigation located at 3520 W. Jones Ave in Garden City. Alliance Irrigation is a family owned and operated business, established in 2001 with headquarters based in Dalhart, TX. Alliance sells and services quality sprinkler irrigation equipment and can dig custom trenches for any irrigation project. 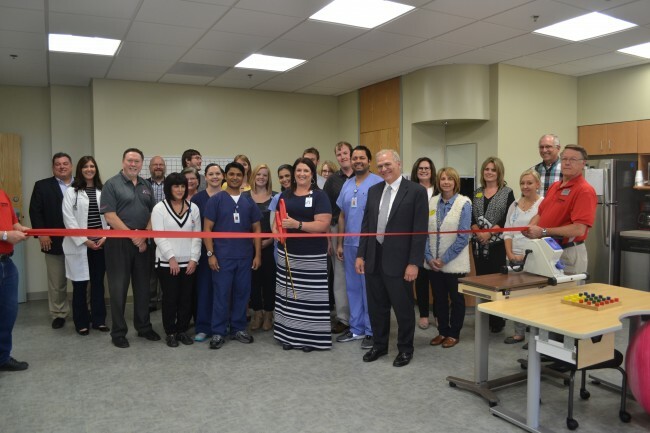 October 1, 2015 - St. Catherine Hospital celebrated the grand opening of their state of the art in-patient physical therapy unit on the 3rd floor of the patient towers. 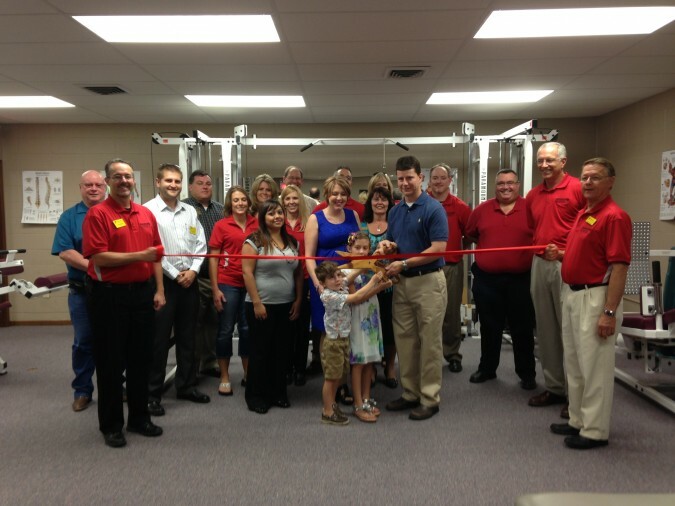 The department is able to treat citizens throughout the region with a wide variety of physical therapy needs. 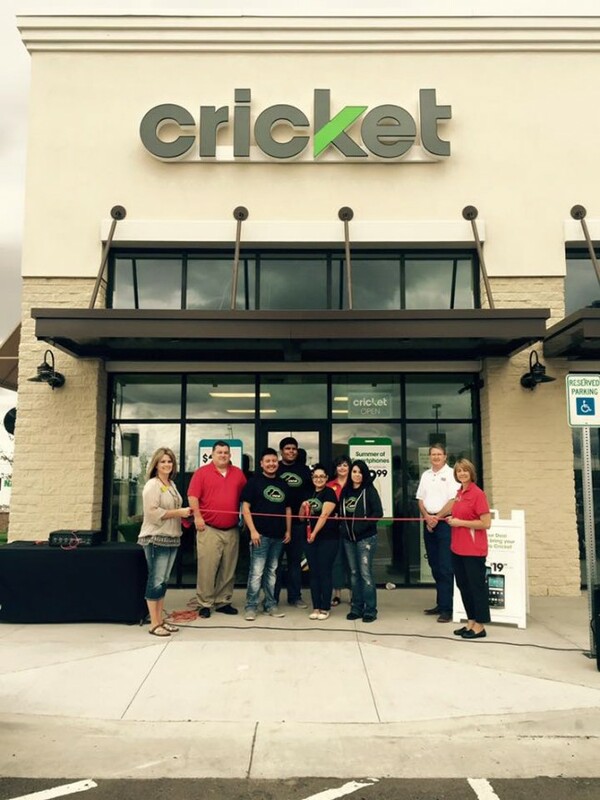 September 26, 2015 - Garden City welcomed the new Cricket Wireless store to the Schulman Crossing Plaza with a grand opening celebration and special deals for their customers. 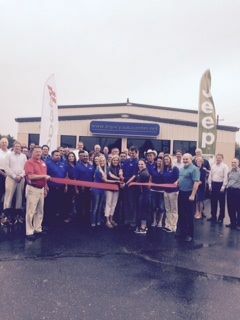 Visit Cricket Wireless at 1660 Lareu, St. A.
September 22, 2015 - Legacy Auto celebrated the addition of their new Chrysler Dodge Jeep and Ram franchise with the community and Chamber Ambassadors during their grand opening and ribbon cutting event. 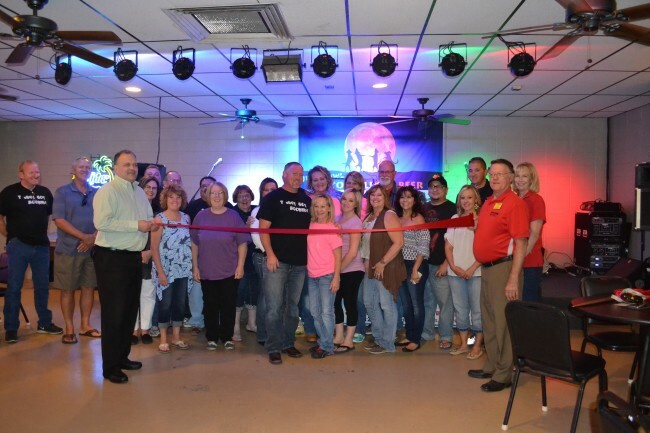 September 19, 2015 - The Fool Moon Saloon, LLC, located at 1621 Taylor Ave, hosted a great Ribbon Cutting event for the Chamber Ambassadors. The Fool Moon Saloon offers great food, live music and lots of fun. 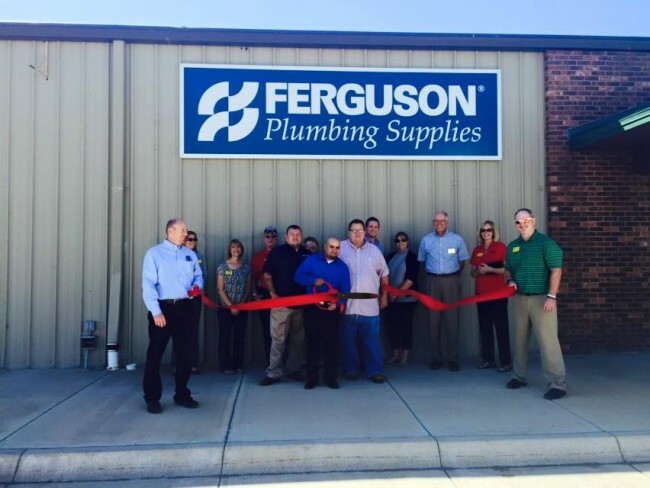 September 17, 2015 - Ferguson Enterprises celebrated the grand opening of their new location at 2508 W. US Hwy 50, Ste B.
September 11, 2015 - Classy Looks, The Modern Wig Boutique, located at 605 N. 8th St. in downtown Garden City, celebrated a ribbon cutting with the Chamber and community members. Stop by and visit owners Araceli and Dan Stewart and check out their wide assortment of wigs, hair extensions, ladies bags,jewelery and more. 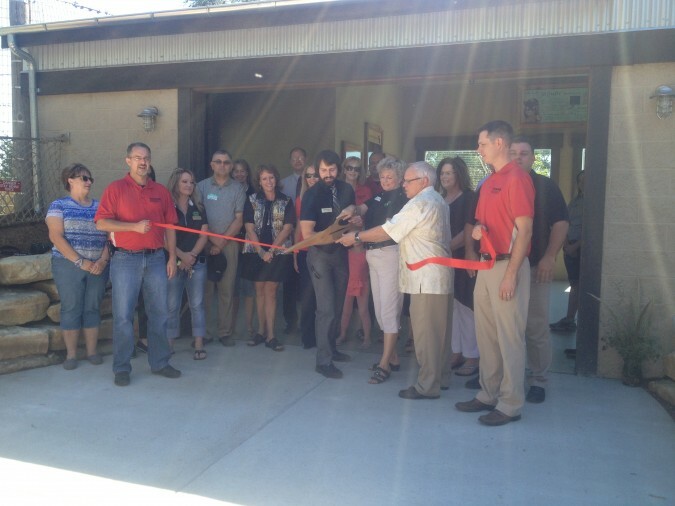 September 3, 2015 - The new petting zoo at Ward's Garden Center attracted guests of all ages during their Ribbon Cutting event. The new petting zoo features, rabbits, pigs, goats and more. Visit them at 2703 Taylor Avenue. 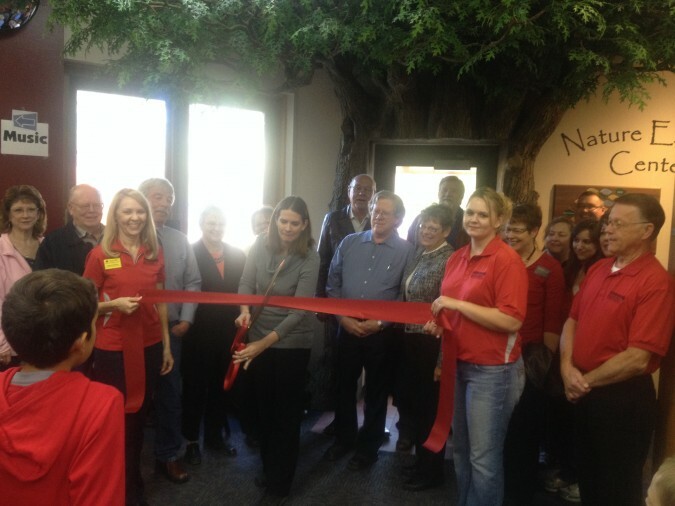 September 3, 2015 - Ward's Garden Center, located at 2703 Taylor Avenue, welcomed guests to preview the expansion of the Garden Cafe. 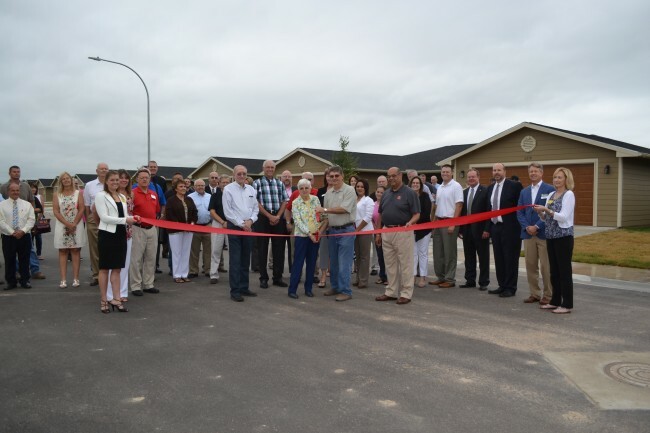 August 18, 2015 - Garden City celebrated the opening of its newest housing development, Clarion Park Estates located East Garden City near the Spruce Street and Jennie Barker Road. 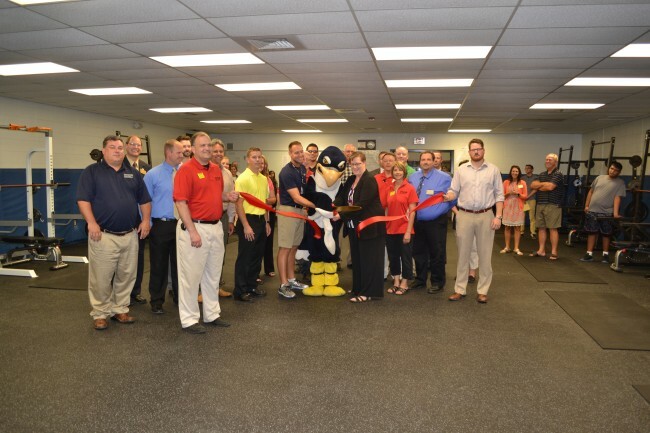 August 3, 2015 - Kenneth Henderson Middle celebrated the opening of their new student weight room. Kenneth Henderson is located at 2406 Fleming St. in Garden City. 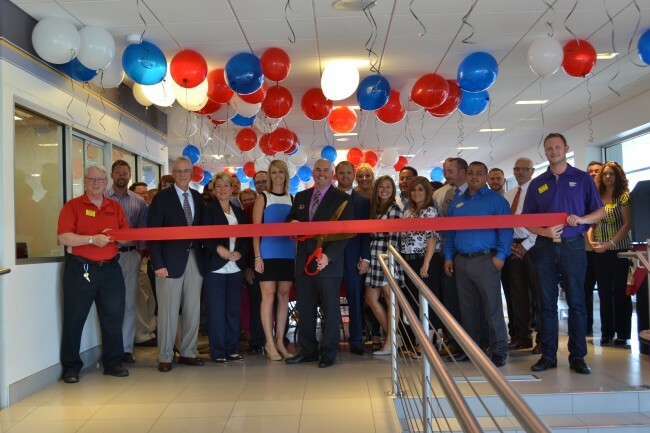 June 24, 2015 - Lewis Chevrolet Cadillac in Garden City celebrated their grand re-opening with tours of their newly remodeled facility. 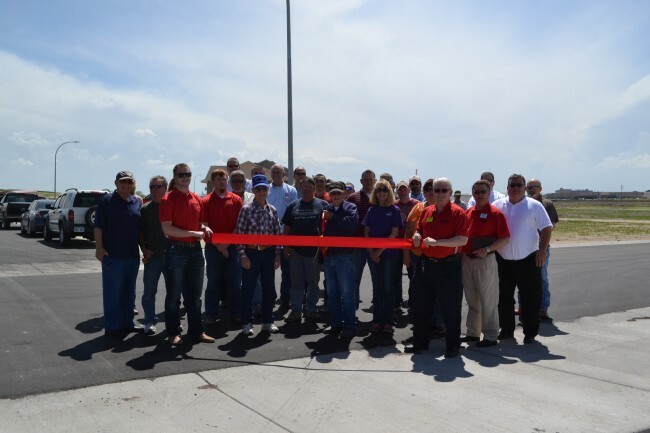 A new heated/cooled service drive, children's play area and comfortable customer lounge and bright new showroom were just some of the updates made to their location at 1903 E. Highway 50. 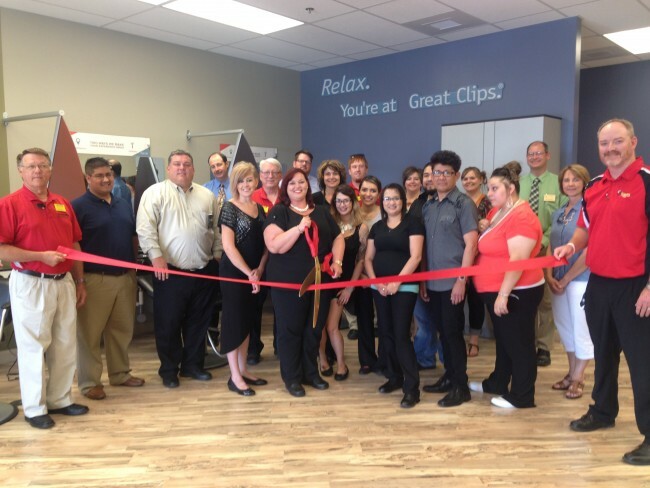 June 24, 2015 - Great Clips celebrated the grand opening of their new Garden City location at 1660 Lareu Road in the Schulman Crossing development with the Chamber Ambassadors and fellow community members. 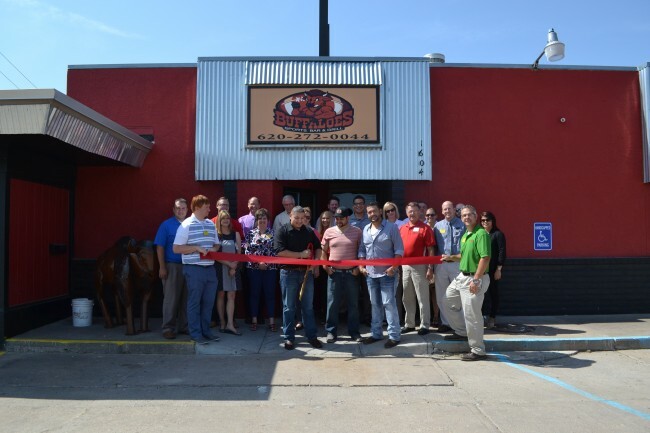 June 23, 2015 - Buffaloes Sports Bar and Grill celebrated their opening with Chamber Ambassadors. Buffaloes is located at 1604 Buffalo Jones in Garden City. 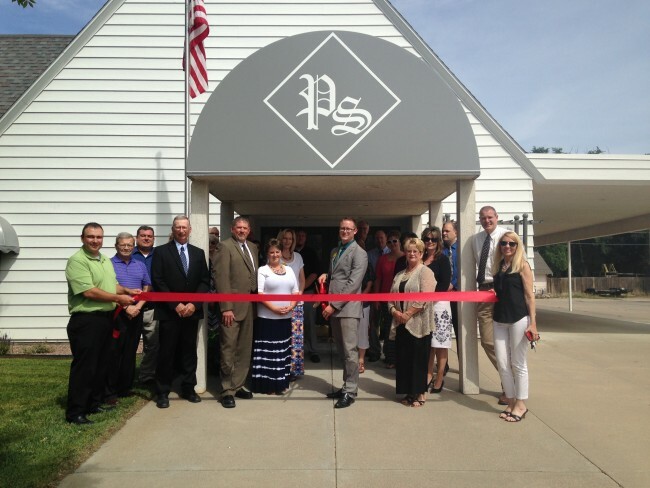 June 18, 2015 - Grand Re-Opening of Price and Sons Funeral Home to welcome new manager Aaron Kucharik. 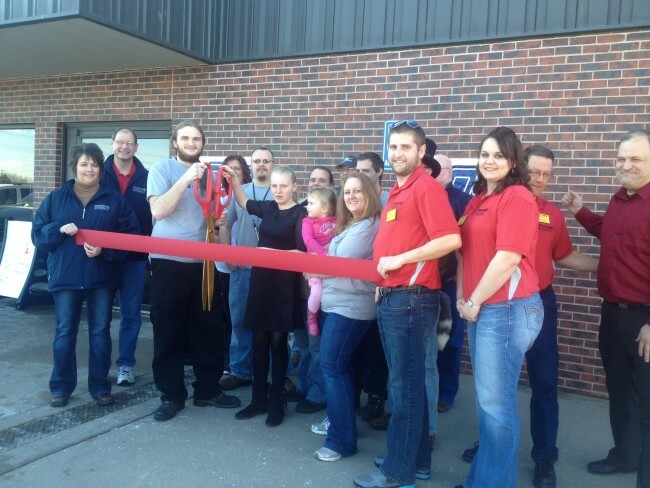 Price and Sons has served the families of Southwest Kansas for more than 50 years. Visit them at 620 N. Main St. in downtown Garden City. 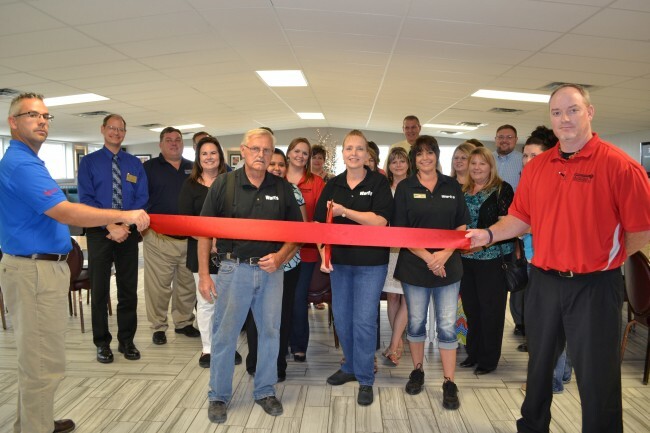 May 15, 2015 - Complete Nutrition in Garden City celebrated their grand opening with the Chamber. 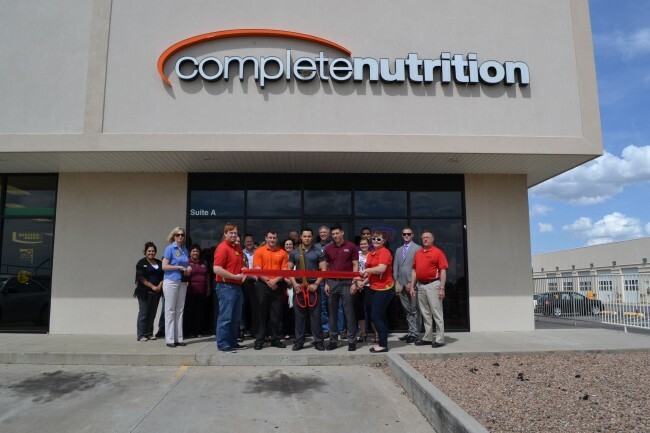 Visit Complete Nutrition at 2312 E. Kansas Ave and explore their complete line of health care products. 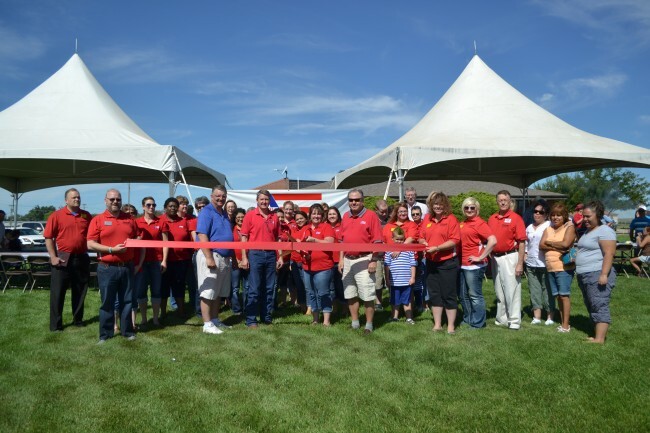 May 14, 2015 - United Country Real Estate celebrated their merger with long-time Finney County real estate company, Regan and Company with an open house and ribbon cutting event. United Country Real Estate Company is located at 423 N. Main St. in downtown Garden City. 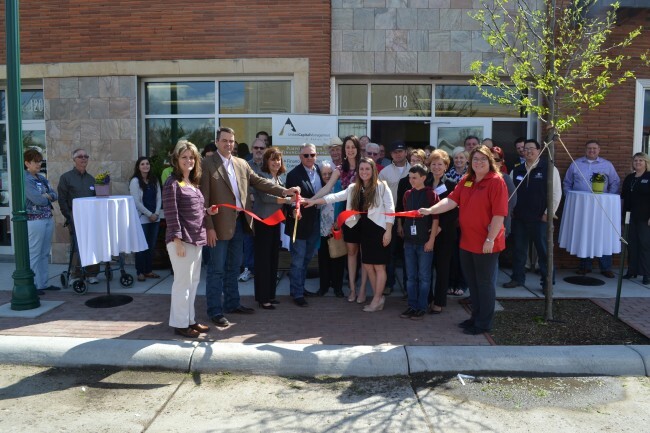 April 24, 2015 - Chappel Heights, Garden City's newest hosing development, hosted a community ribbon cutting to showcase the properties available in east Garden City. 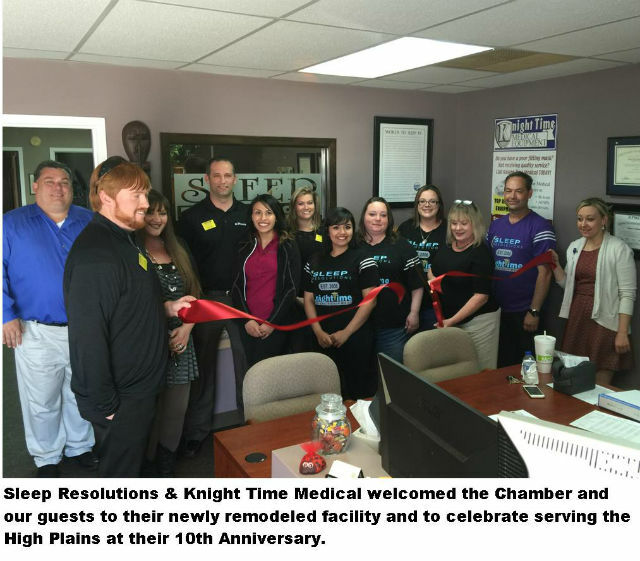 April 18, 2015 - United Capital Management of Kansas, Inc., operated by Randy Fisher, invited the entire community to a festive celebration complete with complimentary beverages and delicious food. 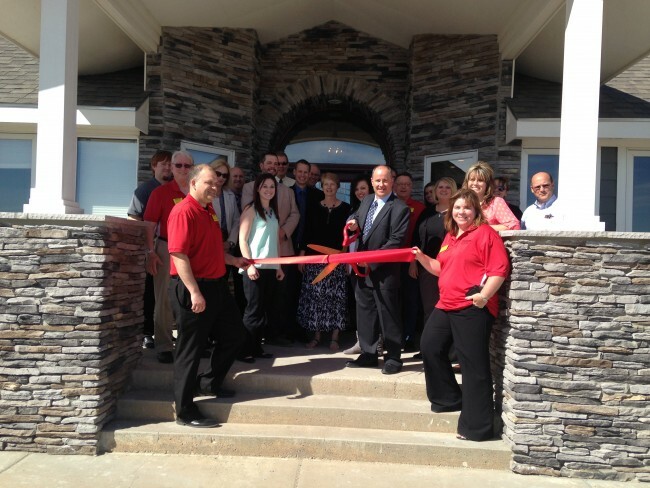 Stop by and visit Randy and his team at United Capital Management at 118 E. Laurel in downtown Garden City. 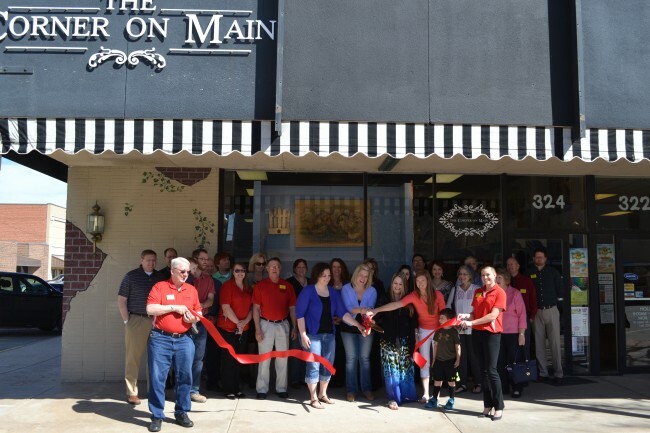 April 4, 2015 - The Corner of Main celebrated it's grand re-opening with special weekend sales and tours of the custom boutique located in downtown Garden City. 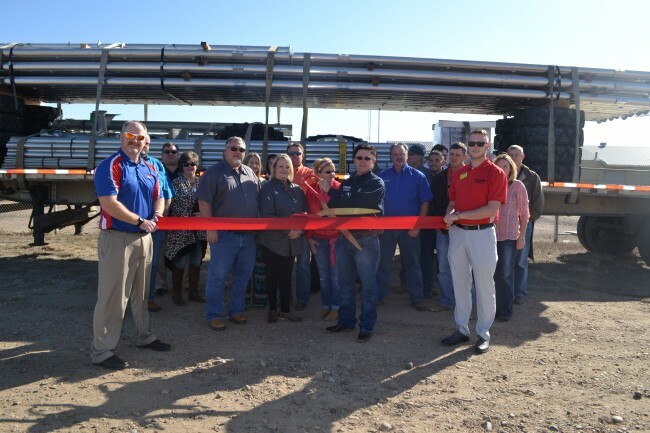 March 27, 2015 - The Hot Spot Events, Garden City's newest event and party facility, celebrated their grand opening and re-model with a Ribbon Cutting. 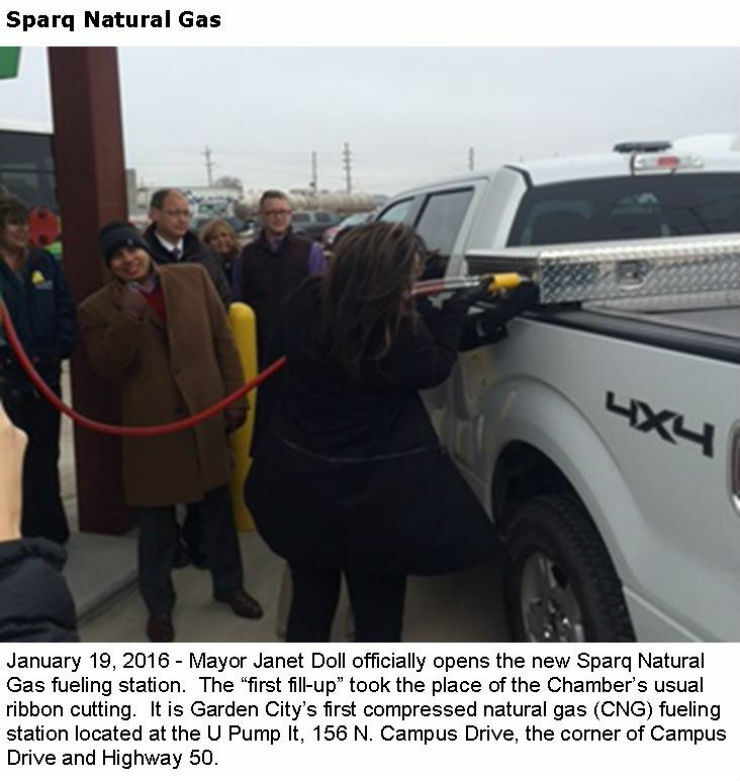 The Hot Spot is located at 407 N. 8th St. in downotwn Garden City. 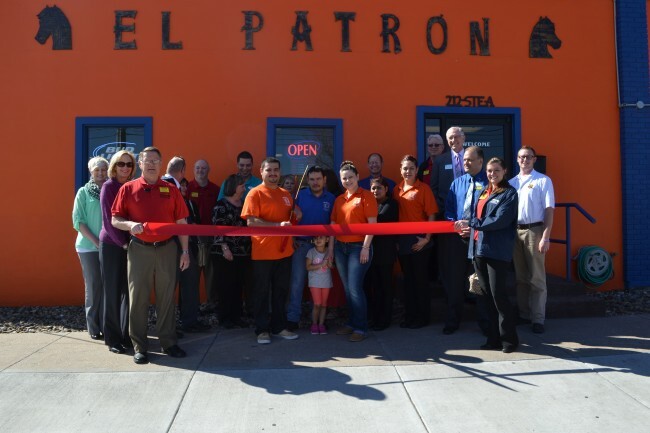 March 26, 2015 - Grand Opening for the new El Patron Mexican Restaurant located at 212 W. Fulton St. El Patron is owned and operated by Leopoldo and Patricia Hernandez. 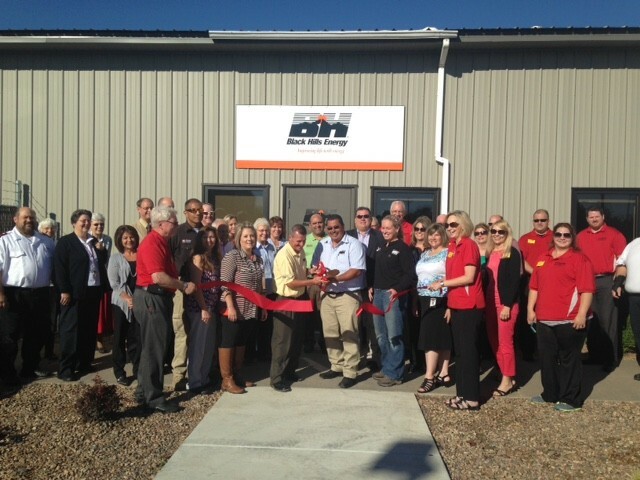 March 24, 2015 - Premier Cabinets and Interiors, located at 7845 W. Hwy 50, hosted the community for a ribbon cutting and open house. Premier provided tours of their one-of-a-kind showroom and unique cabinets and custom design work. 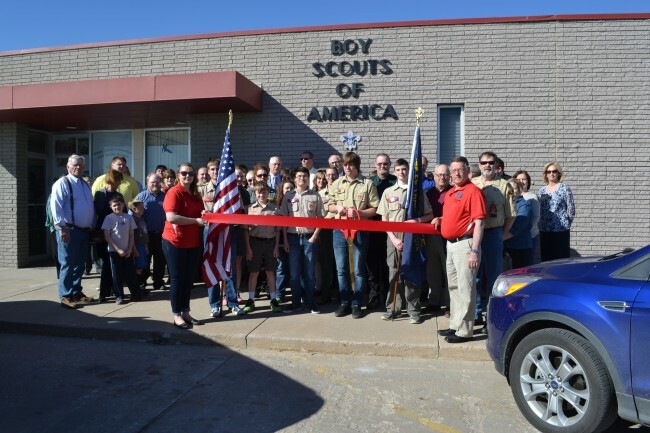 March 12, 2015 - The Chamber Ambassadors were pleased to attend the Grand Re-Opening for the Garden City Boy Scouts Office of the Santa Fe Trail Council. 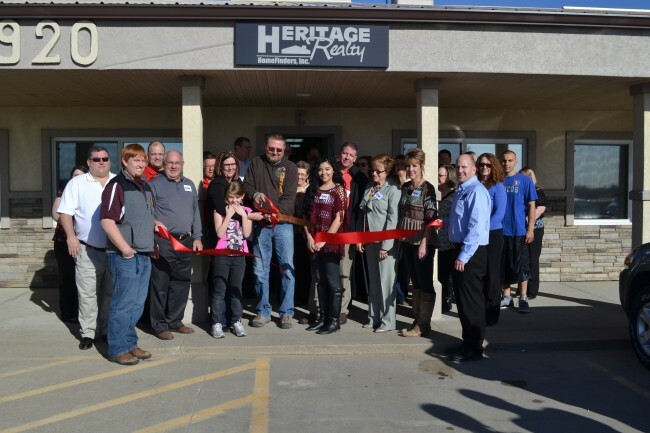 March 6, 2015 - Heritage Realty celebrated the opening of their new office, located at 920 Stonecreek Drive, Suite C., with a ribbon cutting and open house for the community to enjoy. 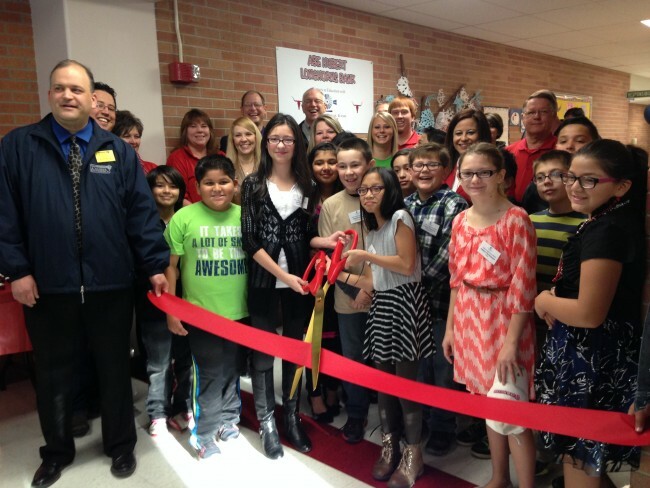 February 13, 2015 - First National Bank of Garden City and the Longhorn Bank at Abe Hubert Elementary School celebrated their grand opening. Longhorns Bank is open each week and is soley operated by Abe Hubert students with the help of First National Bank of Garden City employees. 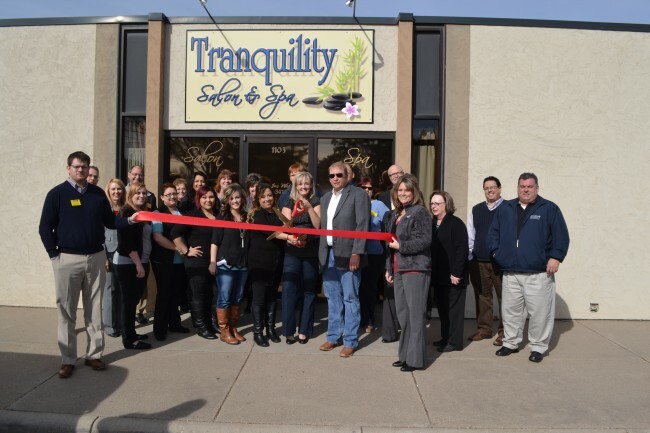 February 12, 2015 - Tranquility Salon & Spa, located at 1103 E. Kansas Ave, welcomed the community to stop by and experience their unique Salon and Spa services ranging from massages, manicures and their exclusive Night of Tranquility packages. 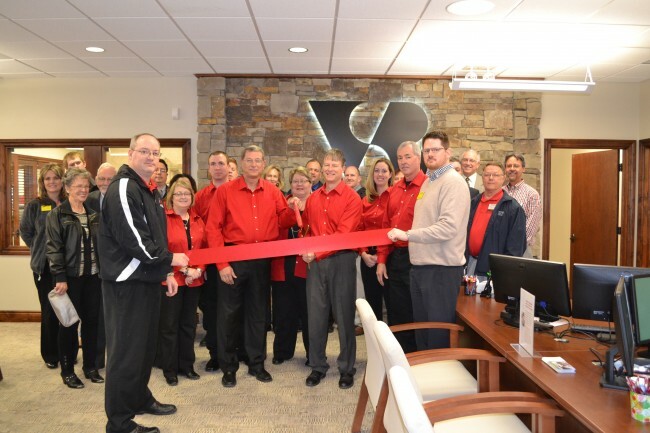 January 20, 2015 - The Chamber Ambassadors celebrated the opening of the new Valley State Bank office located at 1701 E Mary St. Stop by and check out their beautiful new offices soon! 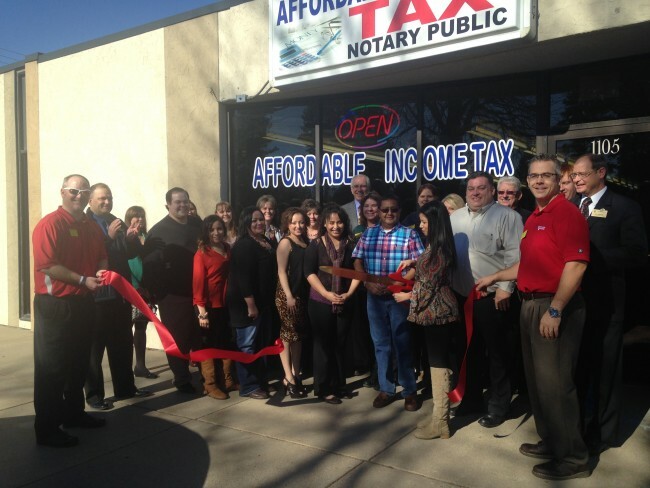 January 15, 2015 - Affordable Income Tax Ribbon Cutting for their new Garden City office at 1105 Kansas Plaza. Affordable Income Tax is a full-service tax filing office ready to help you with your tax needs. Contact them at 620-287-8201. 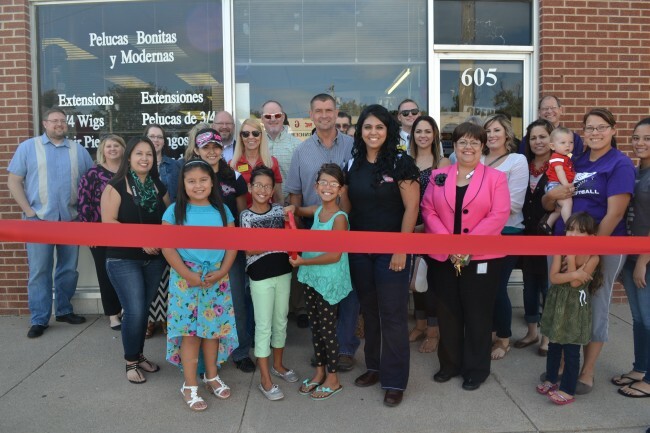 December 17, 2014 - Pearls Spoprt Shop celebrated the opening of their new location at 1213 Fleming St. with a Chamber Ribbon Cutting. Pearl's features a wide selection of hats, clothings, license plates and much more for almost any sports team. Stop by and visit them soon. 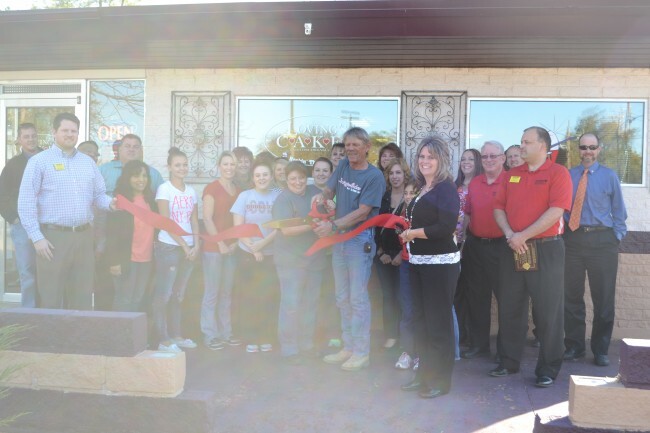 November 11, 2014 - Ribbon Cutting and Grand Opening of Loving's Cakes located at 210 E. Spruce in Garden City, KS. Stop by and visit owner Lisa Loving and her staff as they create delicious cookies and dream cakes perfect for every sweet tooth. October 13, 2014 - The new Best Western Plus, Emerald Inn & Suites, located at 2412 E. Kansas Ave, features 60 luxurious hotel rooms, a unique salt water swimming pool, and many more unique amenities for guests to enjoy. 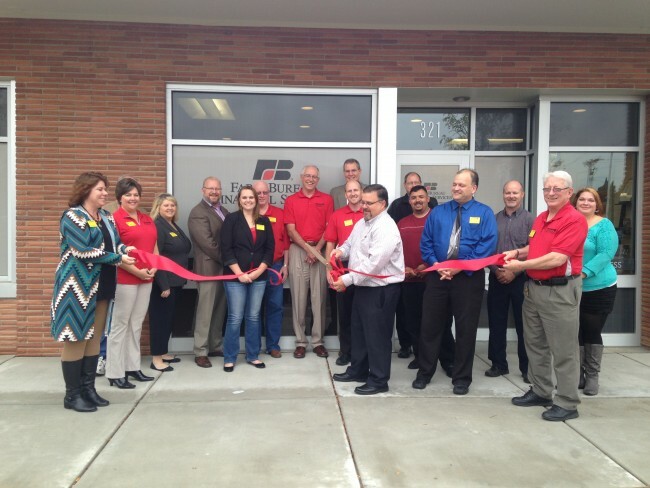 October 9, 2014 - Farm Bureau Financial Services Agent Robert McDowell welcomed the community with a Ribbon Cutting at his new location - 321 N. 7th St.
October 1, 2014 - Black Hills Energy opened the doors to their new offices at 1810 Buffalo Jones with tours for the public. Guests enjoyed cake and other special treats as they mingled with the friendly Black Hills Energy employees. 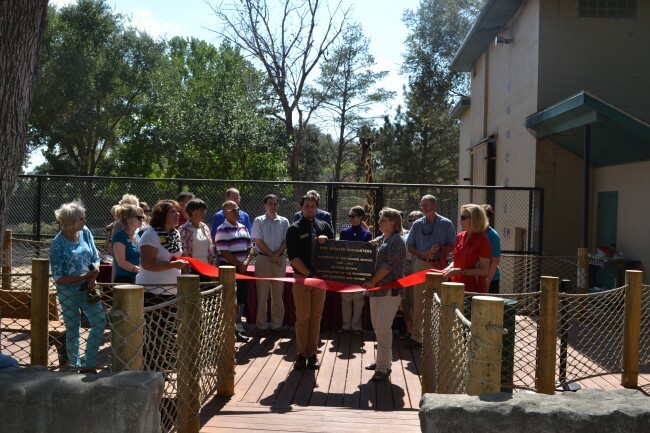 September 27, 2014 - Ribbon Cutting and dedication ceremony for the new Iris' Giraffe Encounters exhibit at Lee Richardson Zoo. Shingo, one of the oldest male giraffes in North America, stands in the background observing the crowd and events. 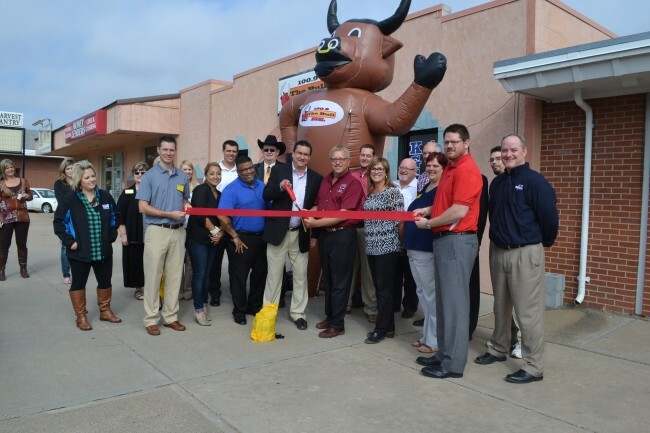 September 16, 2014 - Grand Opening of Garden City's newest country music radio station, The Bull 100.9 FM. 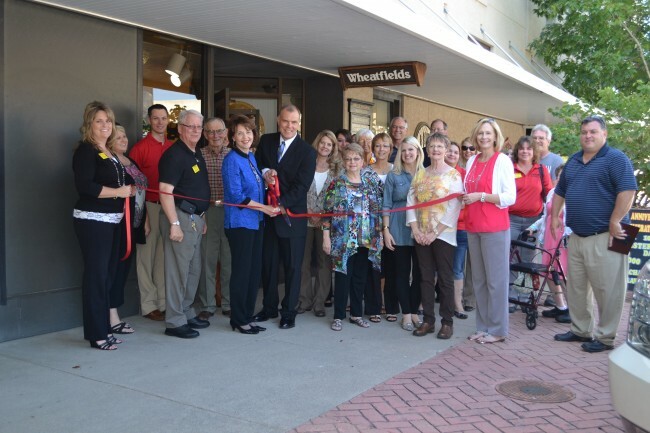 The Bull studio is located at 609 E. Kansas Ave.
September 10, 2014 - Wheatfields celebrated their 33rd year of business with a Ribbon Cutting and special in-store promotions for their guests. Wheatfields owner/operator Shonda Collins also marked her 10th year with the downtown women's boutique during the event. 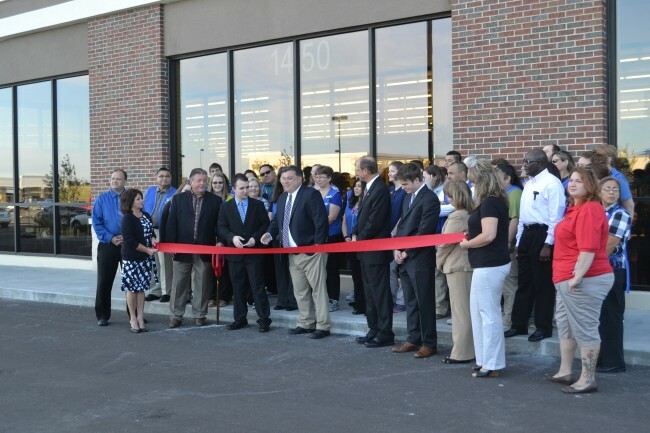 September 8, 2014 - Guests and eager shoppers turned out for the Grand Opening of Garden City's new Hobby Lobby store located in the Schulman CrossingsShopping plaza. 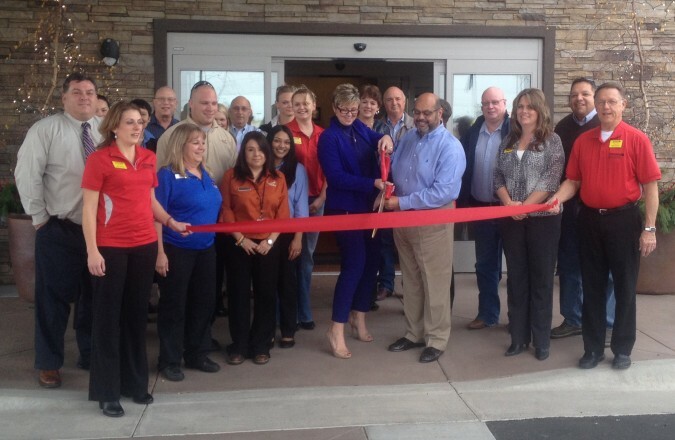 September 5, 2014 - Grand Opening celebration for the new TownePlace Suites by Marriott. 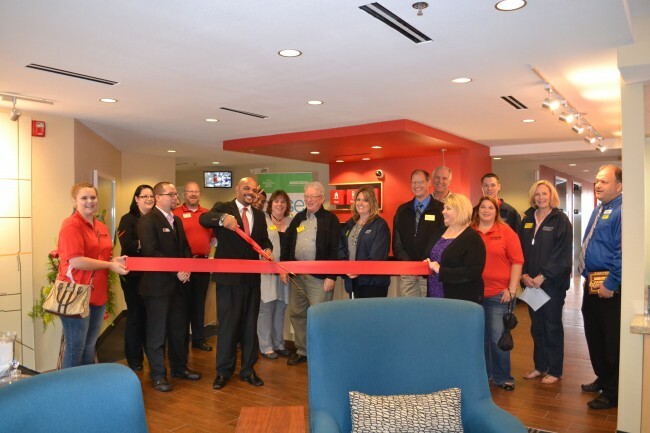 The new extended stay hotel, located at 3510 E. Kansas Ave, features 125 rooms and suites. 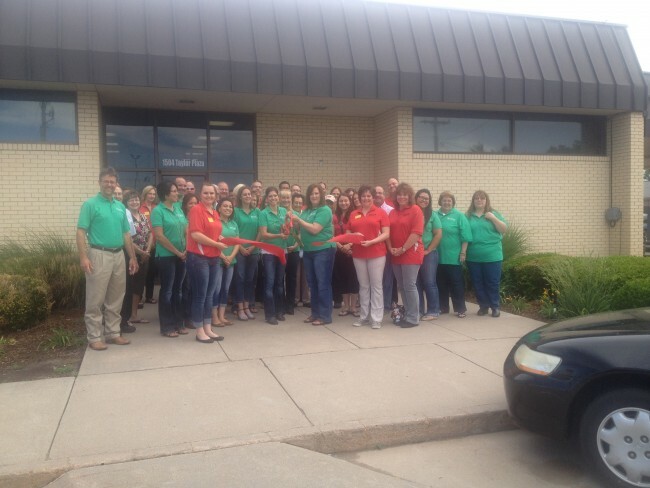 August 16, 2014 - Grand Opening celebration for American State Bank's new branch at 401 N. Henderson in Holcomb, KS. 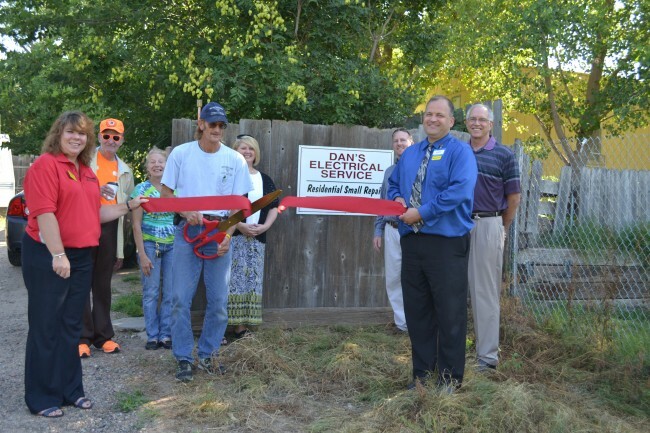 August 11, 2014 - Ribbon Cutting for Dan's Electric Service, Small Repair located at 5817 Old Post Road in Garden City. 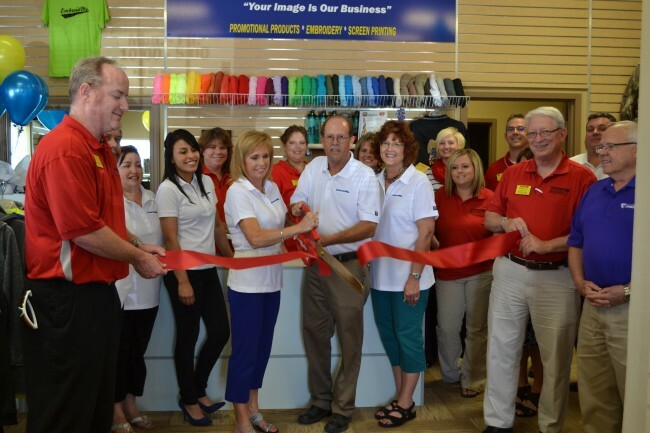 July 23, 2014 - Ambassadors and guests attend the Grand Opening celebration for the new EmbroidMe location at 2820 E. Schulman in Garden City. 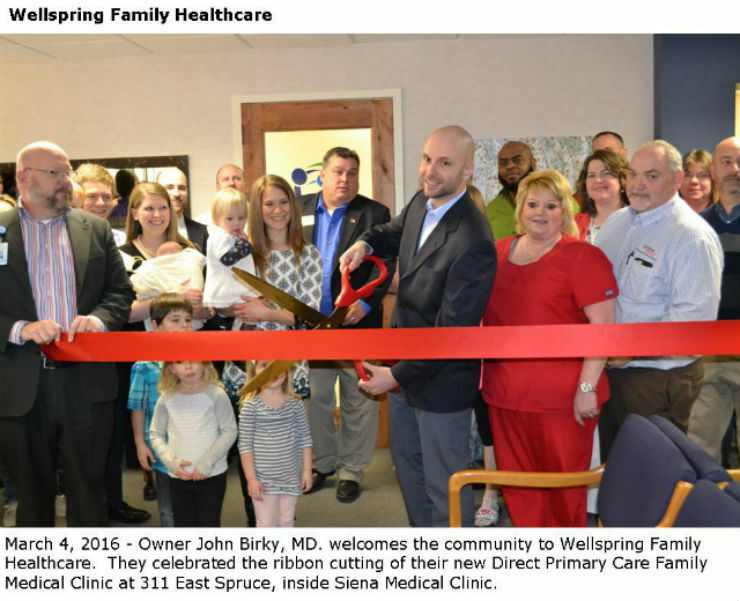 June 16, 2014 - Grand Opening and Ribbon Cutting for the new Beltone Hearing Center at 1501 E. Fulton Terrace, Ste 206 1/2 in Garden City. 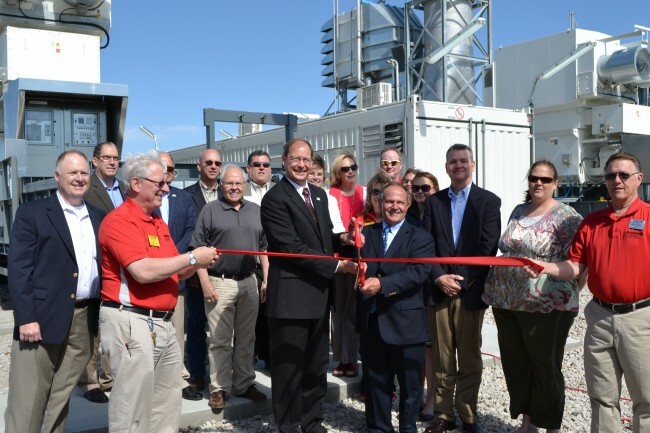 June 12, 2014 - The Jameson Energy Project welcomed the Chamber Ambassadors and Finney County residents to celebrate the project's completion in June. June 6, 2014 - Blessing and Ribbon Cutting for the new Legacy House at St. Catherine Hospital The Legacy House is home to St. Catherine Hospital's Foundation and the Leave A Legacy Foundation. 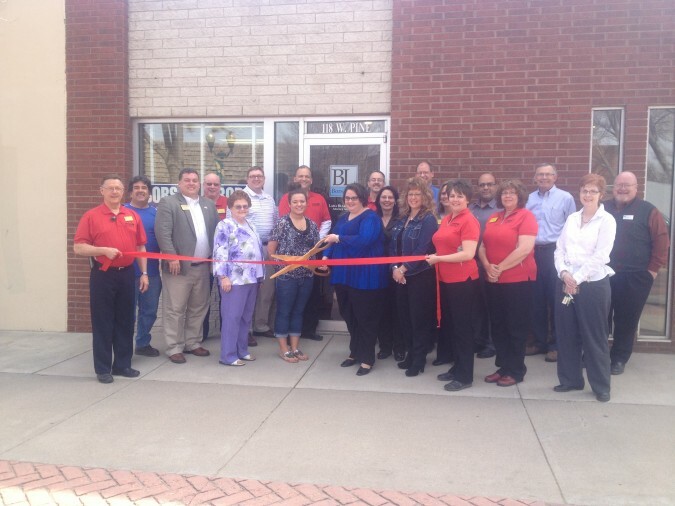 June 6, 2014 - Grand Opening of Golden Plains Credit Union's new branch at 1504 Taylor St. in Garden City. 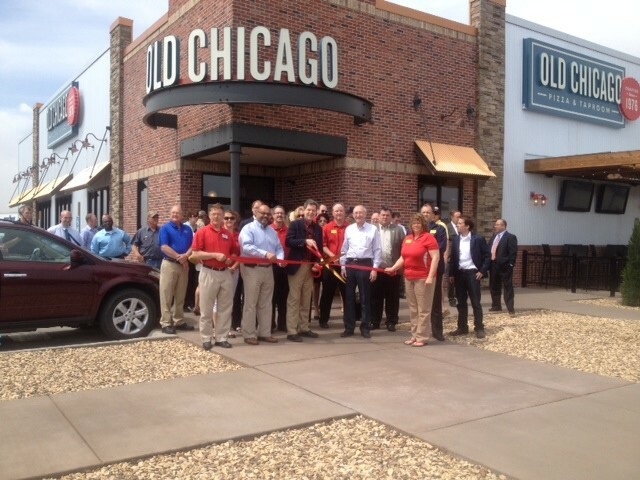 April 23, 2014 - Ribbon Cutting for the new Old Chicago located at 1010 Stone Creek Drive! 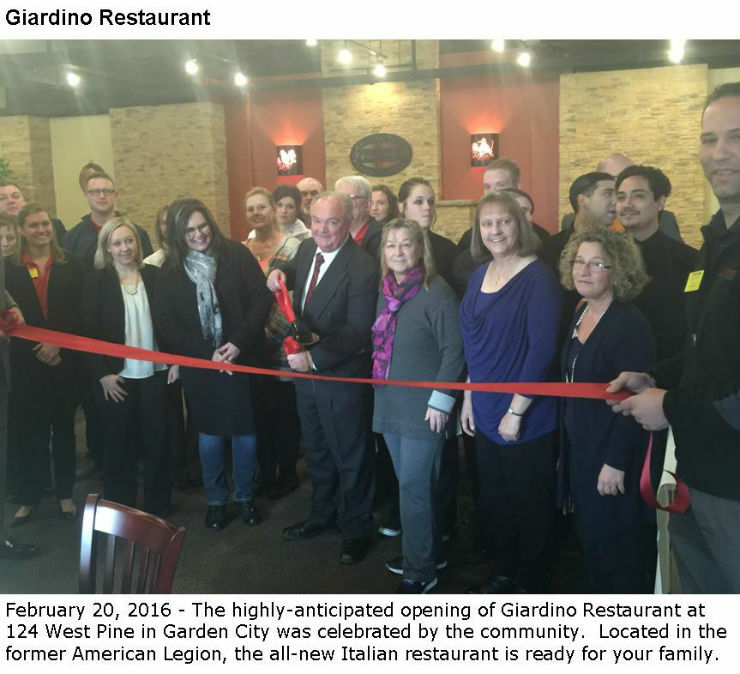 On hand for the ceremony was Old Chicago owner Amro Samy and special guest Kansas Governor Sam Brownback. 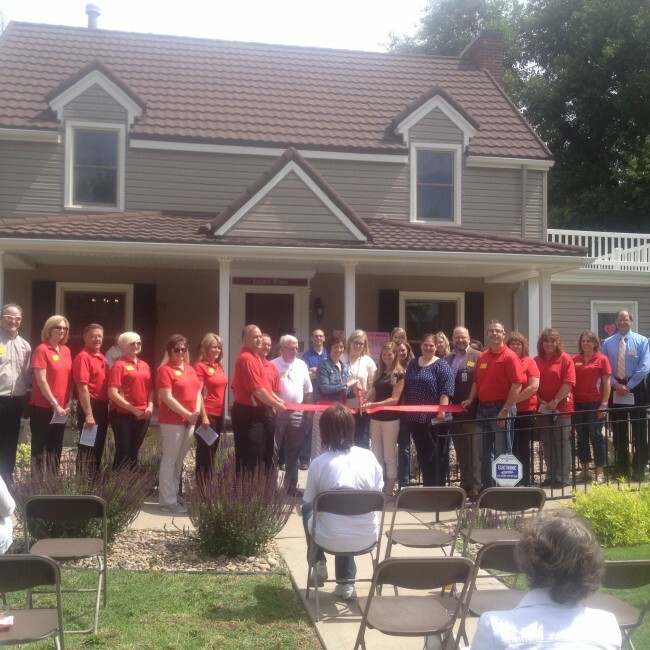 April 23, 2014 - Ribbon Cutting for Pioneer Road Estates housing development. In attendance for the event: Kansas Governor Sam Brownback, Dennis Mesa, Cecil O'Brate, JR Behan, Representative John Doll, Dr. Rick Atha. 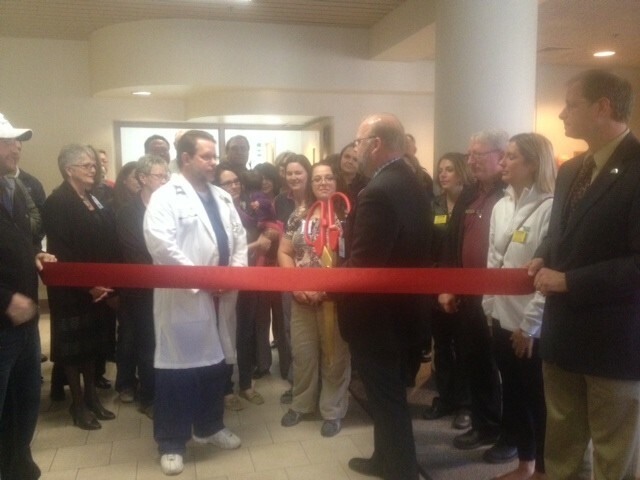 April 18, 2014 - St. Catherine Hospital opens the new 'Fast Track' Urgent Care Clinic. The Fast Track is an expanision of the Emergency Department and is designed to care for less-urgent emergencies. 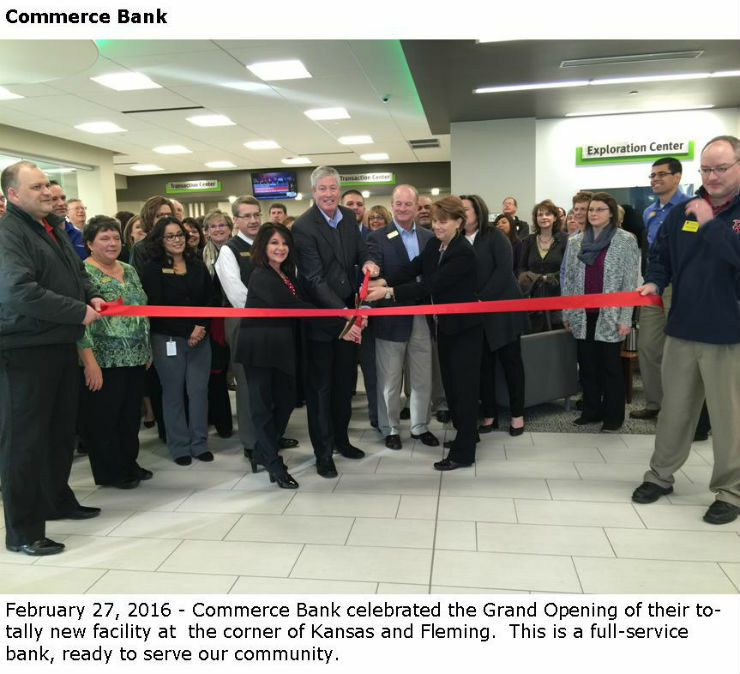 February 14, 2014 - Celebrating the Grand Opening / Ribbon Cutting of Garden City's newsest Edward Jones location with Financial Advisor Lora Schneider. 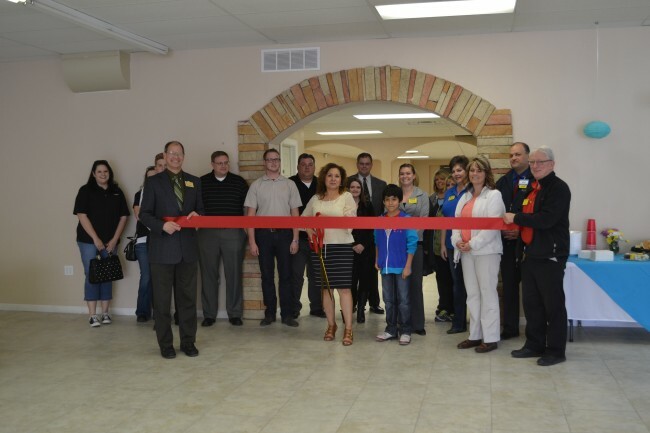 March 8, 2014 - VaporWave of Garden City, located at 519 W. Mary St., #107, welcomed the community with a grand opening and ribbon cutting celebration. 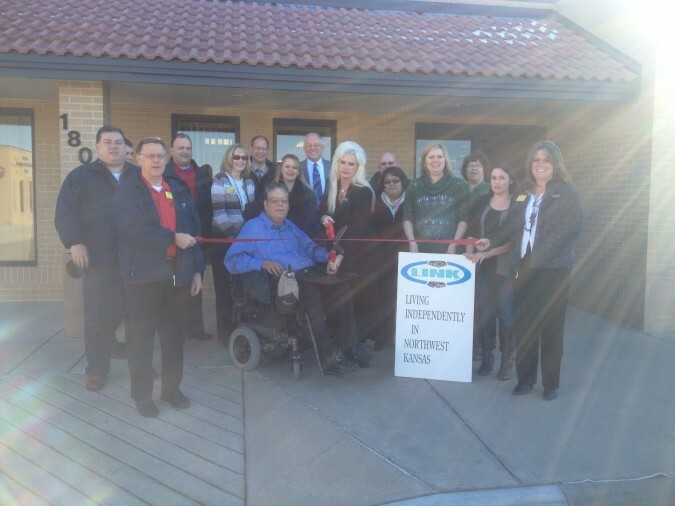 November 26, 2013 - Living Independently in Northwest Kansas (LINK) opened their Garden City location with a Chamber Ambassador Ribbon Cutting and open house. LINK is located at 1809 E. Mary St. in Garden City, KS. 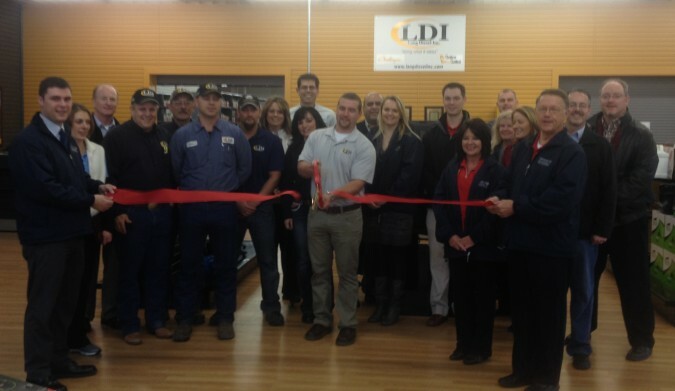 November 21, 2013 - Lang Diesel, located at 4565 E. Hwy. 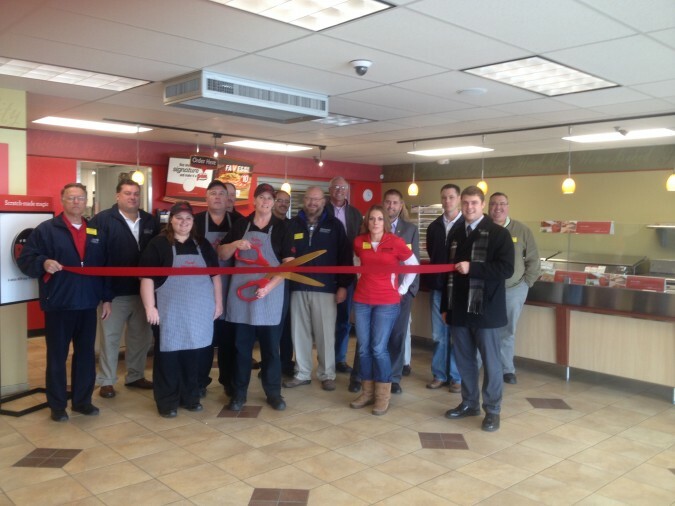 50 Plaza in Garden City celebrated the opening of their new location in southwest Kansas. 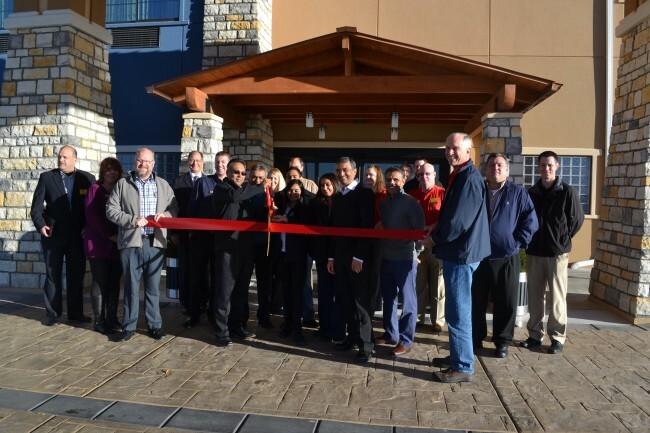 November 20, 2013 - The Sleep Inn and Suites opened their doors with the help of the Ambassadors and the community. 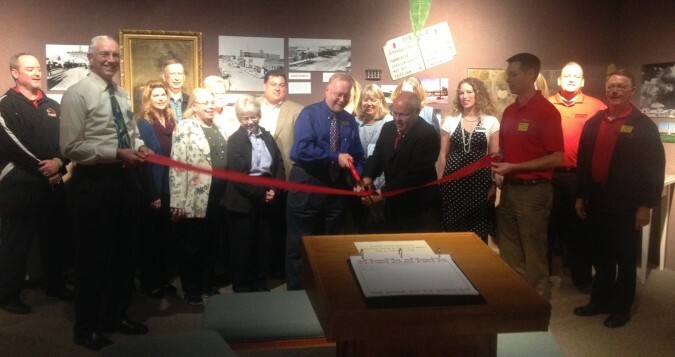 Garden City's newest of the art facility is located at 1931 E. Kansas Ave.
November 19, 2013 - The Finney County Historical Museum celebrated the grand opening of their 'Garden City Then and Now' exhibit. The Chamber Ambassadors and many commmunity members participated in the event that celebrated the great history of Finney County. November 14, 2013 - The Chamber Ambassadors helped the friendly crew at Service Master open for business at their new Garden City location - 310 W. Kansas Ave.
October 26, 2013 - The Ambassadors turned out along with members of the community to open the Finney County Public Library 'Outdoor Nature Explore Center' - a unique and educational addition to our community. 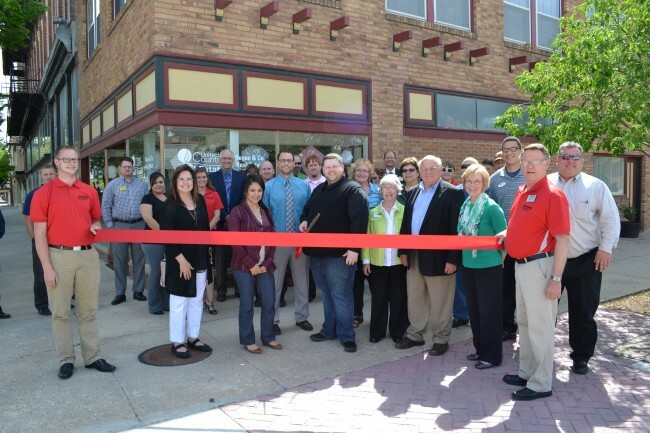 October 18, 2013 - Owner Jim Jordan and the crew at Papa Murphy's officially opened their business with a Chamber Ribbon Cutting. 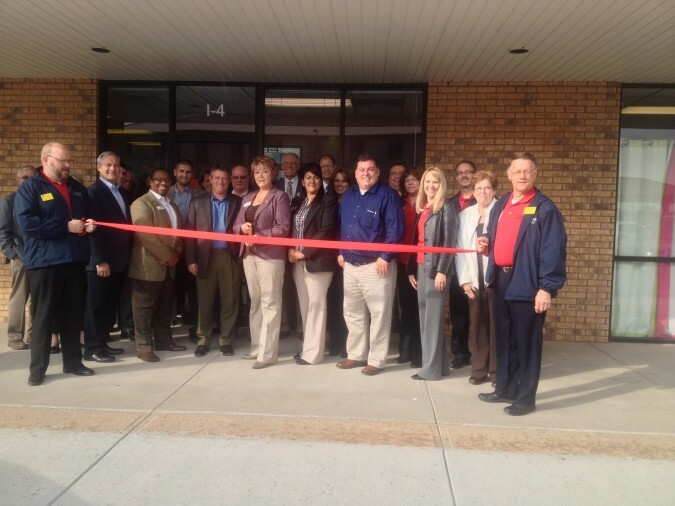 October 16, 2013 - Ribbon Cutting for the Wells Fargo Home Mortgage new location at 1135 College Drive in Garden City. Home Mortgage Loan Officer Kathy Cooksey welcomed guests with refreshments and tours of their new offices. September 22, 2013 - Lee Richardson Zoo held a ribbon cutting for the Grand Opening of Cat Canyon on Sunday, September 22, 2013. Mayor Dan Fankhauser, Zoo Director Kathy Sexton and Friends of Lee Richardson Zoo Director, Brian Nelson were on hand to cut the ribbon. 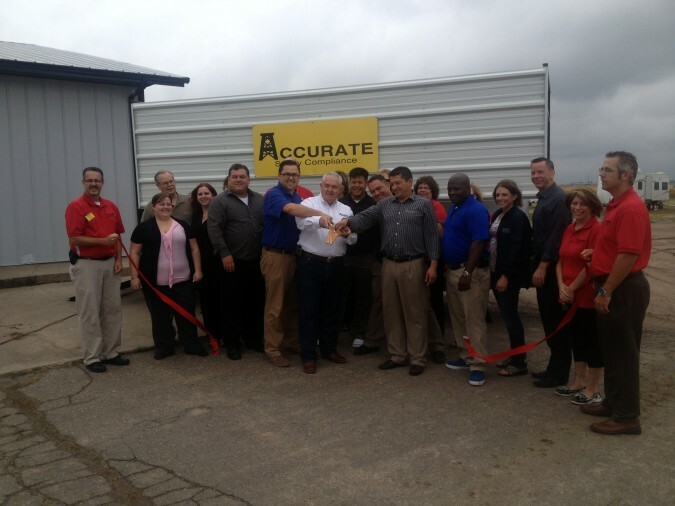 September 12, 2013 - Accurate Safety held a ribbon cutting celebrating the opening of their location in Garden City. Accurate offers all aspects of work safety including training, certification, safety products and more. 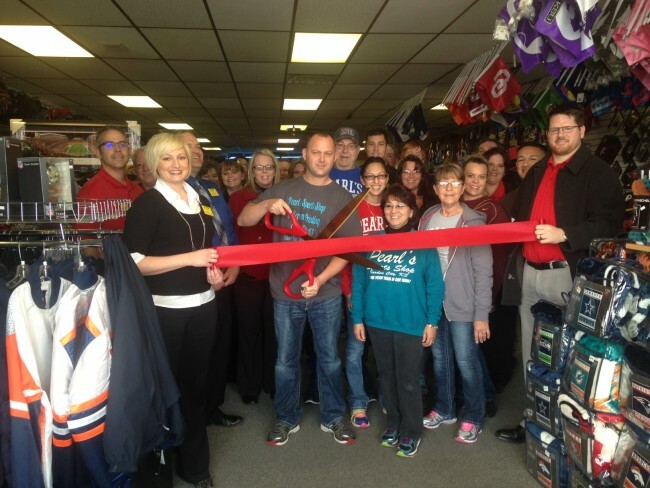 Cutting the ribbon is owner Danny Thomas. August 23, 2013 - The Chamber Ambassadors received help from the outstanding students of Kansas Childrens Service League during their 150-year celebration. 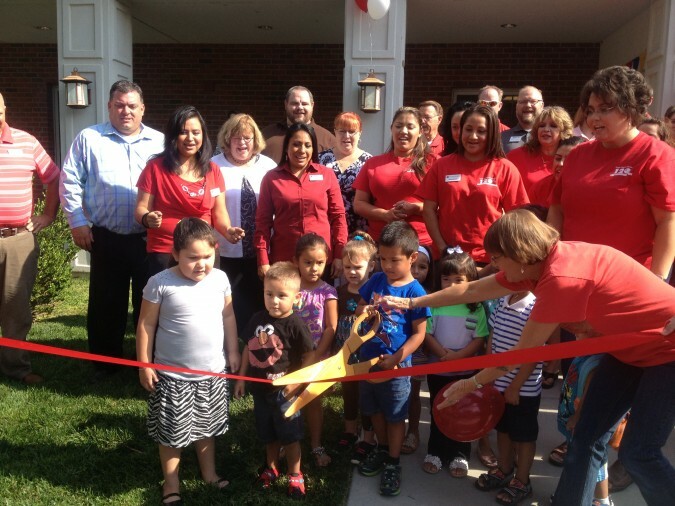 The event also marked the grand opening of KCSLs new location at 603 E. Cedar St. in Garden City. 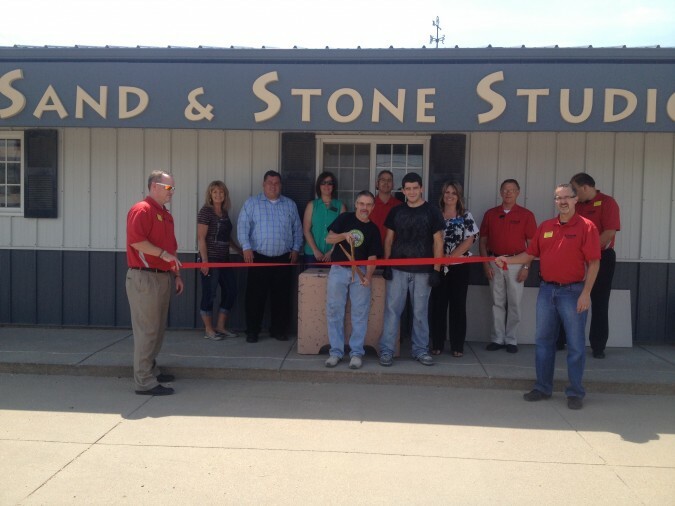 August 23, 2013 - Chamber Ambassadors visited the Sand and Stone Studio for their grand opening and ribbon cutting event. 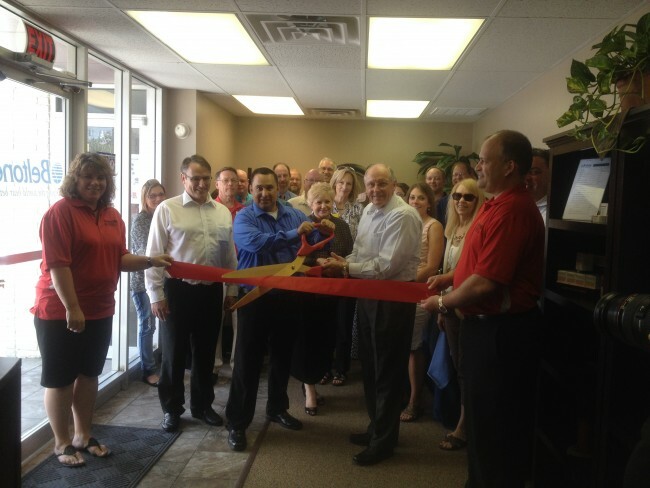 Owner Ron Manroe cuts the ribbon for his studio located at 602 Fulton Drive in Garden City. 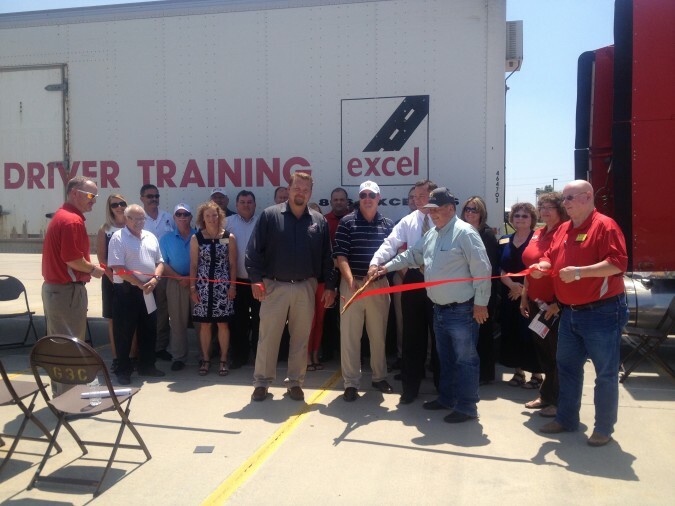 July 31, 2013 - Garden City Community College held a ribbon cutting to launch the Excel CDL Truck Driving Classes. 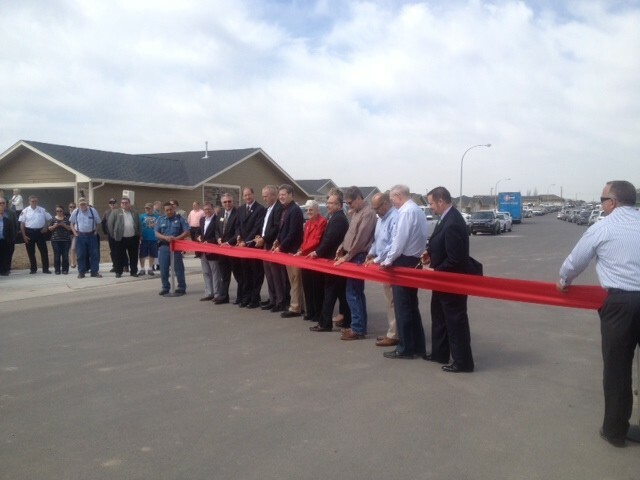 Cutting the ribbon is GCCC President, Herb Swender and State Senator Larry Powell. July 9, 2013 - Synergy Physical Therapy owner, Charlie Williams cuts the ribbon to open the location of his clinic at 1501 E. Fulton Terrace in Garden City. 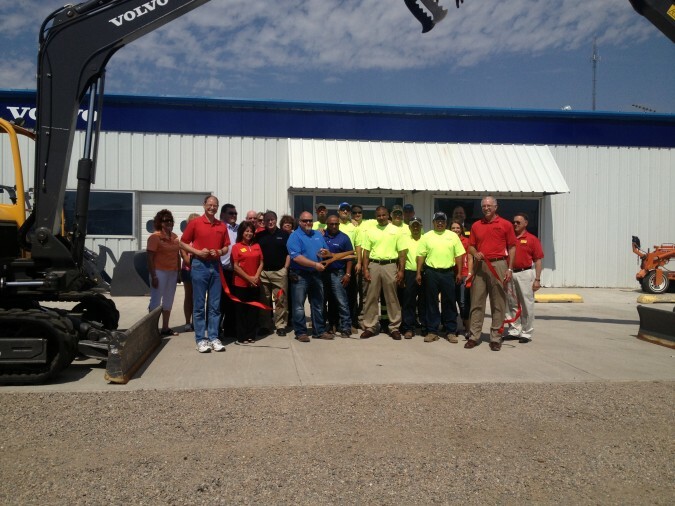 May 8, 2013 - VOLVO Rents hosted an open house and ribbon cutting with a hamburger and hot dog feed for community members. Cutting the ribbon is VOLVO Manager, Randy Wacker. 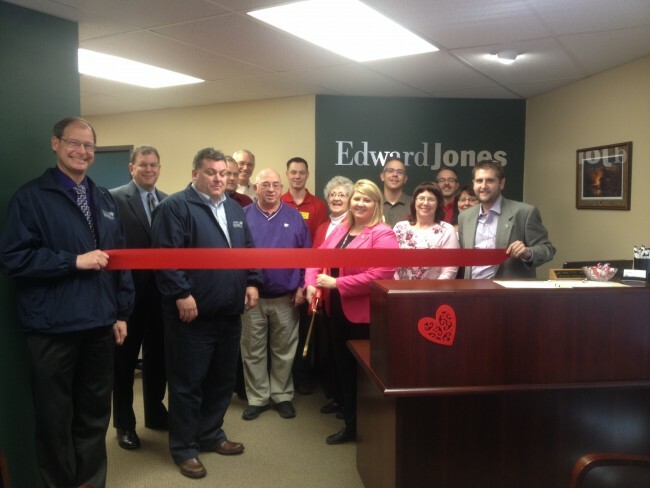 March 28, 2013 - Bors Law Office held a ribbon cutting for the opening of their new location at 118 W. Pine. 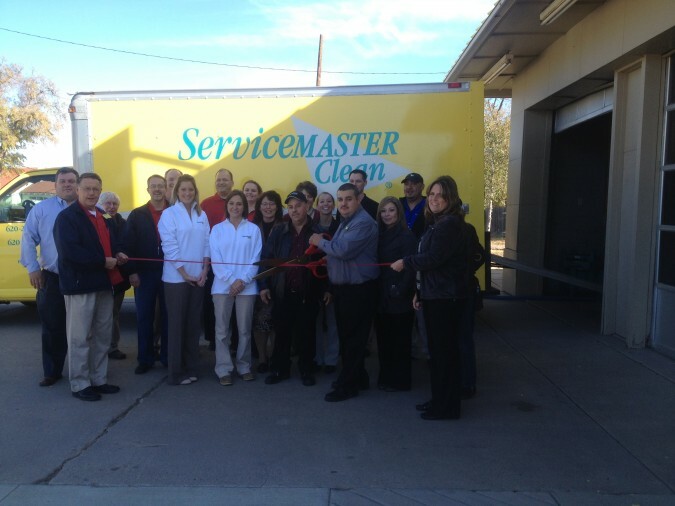 Cutting the ribbon is Owner Lara Blake-Bors.